What is my Kauai property worth? Just listed for sale, "as is", 3 bedrooms, 1 bath house on 17,860 sq. ft. land in Hanapepe Valley. Located on the west side of the Hanapepe river. MLS# 616768 (click for more info) Offered for $398,500. Call Tim Mira, R(B): 808.639.2263 or Cory Mira, R(S) 808.635.7809 for appointment to view property. The future of Kauai's northshore real estate market is in a vulnerable position right now due to April's historic rainfall that caused major flooding and landslides on the north side of Kauai. JUST LISTED! Kalaheo 1.5 acreage, ready for YOU to build. Ready to build 1.5 acres in mauka Kalaheo includes distant ocean views. Sellers have already done a lot to get this property ready for you to build.. Land is clear and all survey pins are visible. Electricity is already plumbed to the "pull box". House plans by architect, Tim Bradley are available. Septic plans also available. Call Tim Mira, R(B) 808.639.2263 or Cory Mira, R(S) 808.635.7809 for more info or to view property. This is a TEAM MIRA, Elite Pacific Properties listing. Here is a chart that will help you to understand the different options of holding title to real estate in Hawaii. I'm not an attorney, but I'm pretty sure that title on Hawaii real estate, supercedes the verbage in a will. It is a good idea to review title on your property every so often and after any major life change, such as marriage, divorce, birth of child or death of spouse. Newly remodeled Kapaa 2 bd/1 ba condo, Kauai Kailani #116, is situated in an oceanfront condominium building. This designer furnished unit is immediately ready for short-term or long-term rental. Enjoy outdoor dining on your poolside lanai. Kauai Kailani is conveniently located across Safeway and Starbucks with direct access to Kauai's popular eight-mile bike path. MLS 600262, Kaumualii Hwy in Kalaheo was sold for $895,000 with 210 DOM (days on the market) by TEAM MIRA. Residential house sales - The number of residential houses sold remained fairly consistent between 2016 and 2017 for each district.. 568 Kauai residential houses were sold in 2016 as compared to 551 Kauai residential houses sold in 2017 (slight decrease from 2016 to 2017). Land sales - The number of vacant lots sold remained fairly consistent between 2016 and 2017 for Waimea, Kapaa and Hanalei districts. However, there was a huge upswing in land sales for the Koloa and Lihue districts. 144 Kauai vacant lots were sold in 2016 as compared to 226 Kauai vacant lots sold in 2017 (about 50% increase from 2016 to 2017). If you are interested in more detailed statistics such as sales volume, median sales price, etc in a specific Kauai neighborhood, please email: poipuproperty@gmail.com. Our marketing team will be happy to provide you with more specific information. Kauai real estate transactions for the month of December 2017 are reflected on the graph above. 42 Kauai residential homes, 23 vacant Kauai land properties and 41 Kauai condos were sold on the island of Kauai in December 2017. The Koloa district led sales with 54 transactions, followed by Hanalei with 19, Kapaa with 18 transactions, Waimea with 8 transactions, and Lihue with 7 transactions. Mortgage interest deduction. Limits this popular deduction to $750,000 in mortgage debt for buyers who purchase a home on or after December 15, 2017. Those who purchased a home prior to this date can continue to deduct up to $1 million in mortgage debt. In 2026, this provision will revert to the current law regardless of when the home was purchased. State and local property taxes. Limits this deduction to a combined $10,000. Homeowners in areas with higher home costs and property taxes may see an increase in their tax bills in the new year. Home Equity Line of Credit (HELOC) interest deduction. Paid interest will no longer be deductible after December 31, 2017. This provision ends in 2026 and reverts to the current law, which allows an interest deduction up to $100,000 in HELOC debt. Capital gains exclusion. 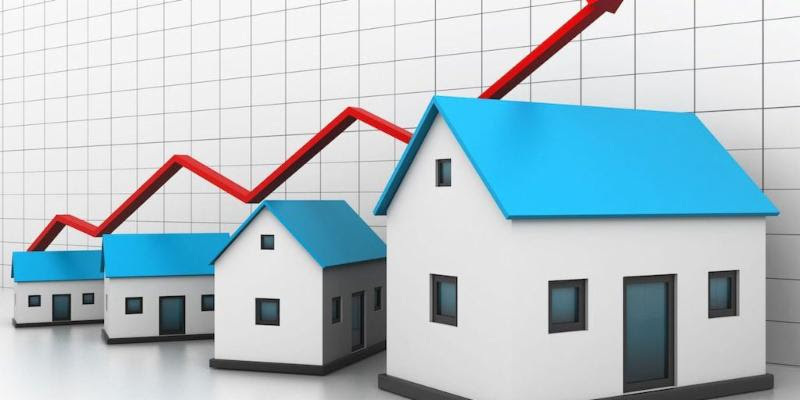 Home sellers can continue to exclude up to $500,000 (joint filers) or $250,000 (single filers) for capital gains when selling a primary home, provided the owner has lived in the residence for at least two of the past five years. Estate tax. Doubles the amount that can be left to your heirs tax free to $11.2 million per person and $22.4 million for married couples. Mortgage Credit Certificate (MCC) Program. Currently suspended but valid for loans that close by December 29, 2017, the MCC program may be reinstated in 2018. Be on the lookout for future updates. MCC offers eligible borrowers a federal tax credit and deduction on paid mortgage interest. For the second year in a row, maximum conforming loan limits for conventional mortgages to be acquired by Fannie Mae and Freddie Mac will be increasing in 2018, according to the Federal Housing Finance Agency. In Hawaii and other high-cost areas, conforming loan limits will rise to $679,650 from $636,150 for one-unit properties effective January 1, 2018. In most of the country, the 2018 maximum loan limit for one-unit properties will be $453,100 from $424,100. Conforming loan limits also apply to government loans, including VA and FHA. Click here to view a complete list. Increased purchasing power. Allows first-time and repeat buyers to borrow larger amounts. Better rates and terms. Conforming loans have lower down payment, more competitive interest rates, and less stringent underwriting standards compared to non-conforming (jumbo) loans. More affordability. Reduces the need for non-conforming mortgages, which have higher interest rates and monthly payments. Price reduced after only 18 days on the market because seller wants it SOLD! Kauai Kailani #116 is a 2 bedroom/1 bath ground floor unit on the east side of Kauai. This completely remodeled Kapaa condo is located poolside. Kauai Kailani is an oceanfront condomoinium complex that boasts 57 fee simple units. Walk to Safeway and Starbucks, which are conveniently located across the Kuhio highway fronting the Kauai Kailani condos.